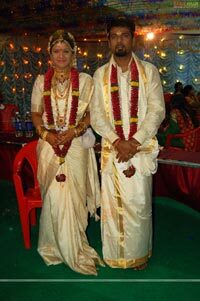 South Indian sensation Rambha Yeedi tied knot to Indra Kumar, a Canada based businessman at Tirumala in Andhra Pradesh. 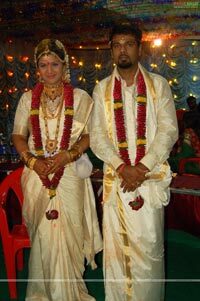 The muhurat was fixed at 11:44 AM on April 8th, 2010 at Karnataka Kalyana Mandapam in Tirumala. 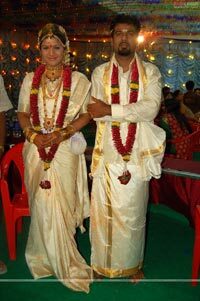 K Raghavendra Rao and Roja were the prominent guests from Tollywood industry who graced the wedding and blessed the couple. 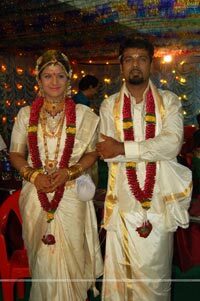 The reception will be held at Rani Meyammai Hall in Egmore, Chennai on April 11th.